Have you ever been sitting in front of the television with a snack, and before you know it, the entire snack is gone and you don’t even remember eating it? You might still feel that tinge of hunger, so you get up, grab another snack and sit back down in front of the television to repeat the same thing. This isn’t uncommon. 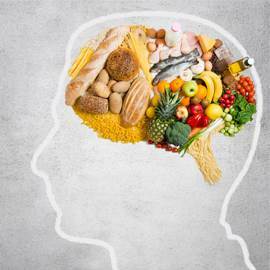 Most people experience this form of “mindless” eating, where you become unaware of what and how much you’re eating. This type of eating can be quite detrimental to your weight loss efforts, but the good news is that you can learn to manage this type of behavior by practicing mindful eating. Mindful eating is the art of being completely aware of not only what you’re eating, but why and how you’re eating it. What you eat: Particularly if you’re on a meal replacement plan, such as Optifast weight loss, you learn to be cognizant of what you’re eating at every meal, and the reason for eating it. You’re eating food for nutrition, so you’re choosing foods according. Why you eat: Are you physically hungry, or do you only think you’re hungry because you’re bored or stressed? Mindful eating suggests that you only eat when you’re hungry, and learn to know when you would normally succumb to emotional eating. How you eat: Many people eat quickly, especially if they’re eating mindlessly. Slow down. Try to take at least twenty minutes to finish a meal. As well, rid yourself of distractions during meal time. This includes television, computers and books. They’ll still be there when you’ve finished your meal. Allowing you to realize when you’re full sooner. Improved digestion from slowed down eating. Makes meals more pleasurable since you get a chance to enjoy each and every bite. Allows you to be satisfied with less food. Since you’ll likely feel full earlier in the meal, you’re less likely to overeat.